“This is The Greatest Show” is Feb. 1 at 7 p.m.; Feb. 2 at 2 p.m. and 7 p.m.; and Feb. 3 at 2 p.m. at the R. Wesley Carlson Auditorium. Tickets are $10 for adults and $5 for children under 18. Tickets can be purchased at the Humboldt Hy-Vee, V&S in downtown Humboldt, from chorus members, or by calling 515-379-1072. To purchase tickets online, visit www.humboldtchorus.com. The Humboldt Community Chorus is ready to reprise the energy of its past annual shows. HUMBOLDT — Directed by Terry Nelson, the Humboldt Community Chorus will continue its longstanding tradition of performing an annual variety show Feb. 1-3 at the R. Wesley Carlson Auditorium in Humboldt. 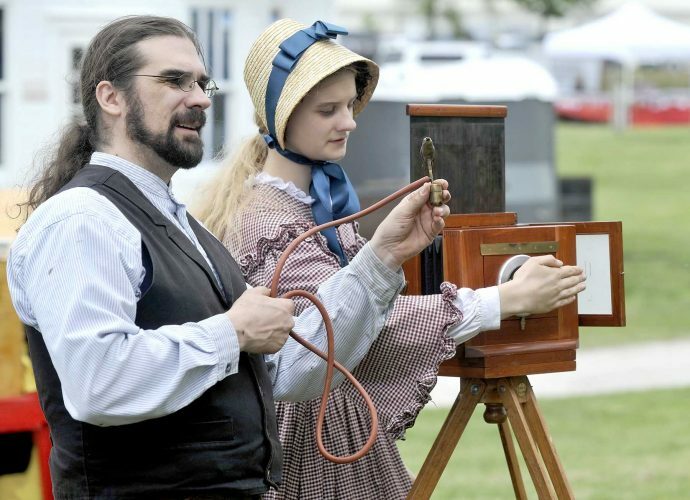 This year’s program, entitled “This is The Greatest Show,” will include a wide variety of musical numbers, as well as some entertaining small groups. The ensemble of 70 musicians from Humboldt and the surrounding area is accompanied each year by a 20-piece big band. The big band will perform for 30 minutes before the show while patrons are seated and again during intermission. 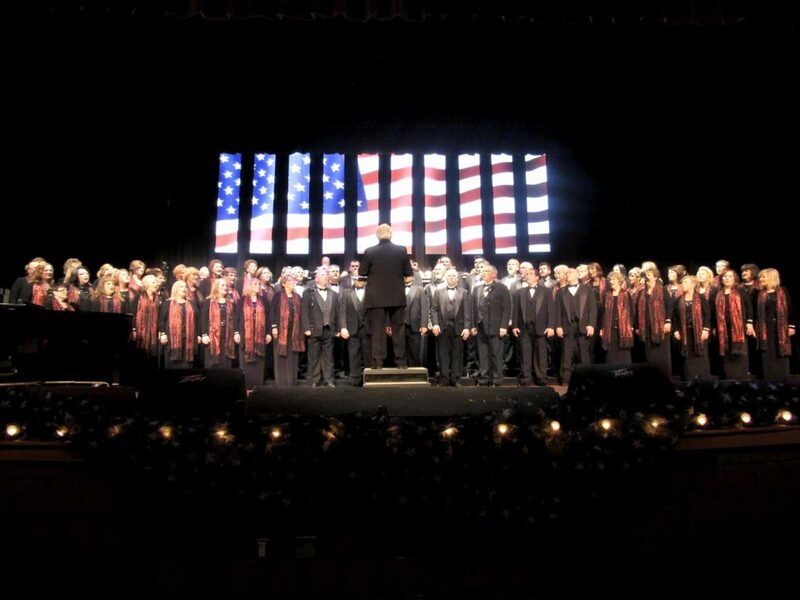 While the season technically runs from mid-October through the annual show, the chorus members perform at a variety of events throughout the year, including county fairs, the Iowa State Fair, and church service. Rehearsals for this show began in mid-October when chorus members first gathered to learn the theme for this year’s show. When many of them first looked at the opening number, “The Greatest Show,” from the film “The Greatest Showman,” they knew they were in for a real treat. Though the music was daunting at first, the group soon fell in love with the song and the many other songs included in the show. “We pride ourselves on having an upbeat, fun show that’s good for the whole family,” Barb Nelson, chorus member and event planner, said. It’s a show for the whole family, she said. A comedy routine will be based off the old television show “Hee-Haw” from the 1970s and 1980s. The routine was a part of the show for several years as part of the late Dean Harklau’s performance. After his passing, the group no longer included “Hee-Haw,” however “Hee-Haw” was included again last year as part of the annual program to celebrate Judy Harklau’s 50th year with the group. Harklau, the longest standing member of the group and group historian, provided some interesting details on the formation of the group. Its very first performance included selections from “The Messiah” in 1935. At that time, they were known as the Humboldt County Singers. The group then went on to be known as the Humboldt Civic Chorus. It wasn’t until the performance of Campus Capers in November 1955 that the group became known as the Humboldt Community Chorus. Although the first set in “This is The Greatest Show” is exciting to sing, according to Harklau, it’s not her favorite. “I really love the gospel set, though. It’s one of my favorites,” she said. Many members of the chorus have been involved for years. But there are also young, new members who have joined. Fresh faces will continue to learn from those who have been members for years, and the new voices will help keep the community chorus alive for future generations. Michelle McKenna, another of the longstanding member, has performed with the group for almost 30 years. “I just keep coming back every year because they become part of your family,” she said. The chorus becoming part of each member’s family is a recurring theme.